Facial masks are available in various styles and types. You get peel-off masks, clay or cream masks. Face masks are applied to cleaned and dried skin and left for a few minutes until it completely dries off before rinsing it. There are commercially available masks with diverse ingredients and meant for different types of skin. You can also make your own face masks using ingredients found at home. Home facial masks are often better for you to know exactly what ingredients go into them. Common ingredients that work well for home facial masks are turmeric, honey, avocado, eggs, yogurt, and milk. The advantage of home facial masks is that you can try various combinations of ingredients before settling on one that suits your skin the best. This can be done without wasting a lot of money on commercial masks. Turmeric has long been known in the west as a spice that adds flavor and color to Indian dishes or as an Ayurveda or Chinese medicine. The popularity of turmeric is now spreading in the West too as a good way to improve skin health and for many other health problems. In many parts of India, turmeric is an essential part of any beauty treatment. When applied to the skin as a paste or a face mask, it can help in treating acne, eczema, rosacea, and aids in skin rejuvenation. The anti-inflammatory and anti-oxidant properties that turmeric possesses are both important in treating these skin conditions. In acne, using facial masks can soothe skin blemishes and heal acne scars. For patients with eczema, applying a facial mask can reduce inflammation and redness. When rosacea patients use turmeric masks, it can reduce the tiny pimples and redness that this skin condition causes. 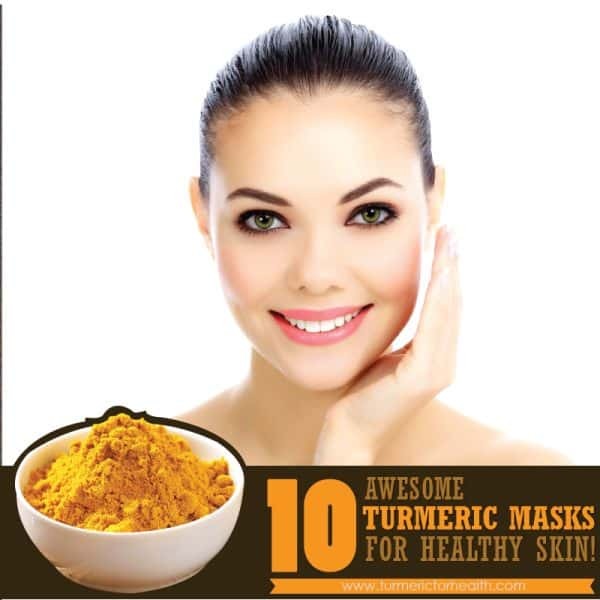 Turmeric face masks are used to rejuvenate skin. Regular use of turmeric with various combinations of ingredients can soften the appearance of wrinkles and fine lines. Will turmeric stain your face? Hence, start with a nice hot shower or steam bath. 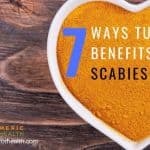 Use a mild shower gel or non-medicated and non-abrasive soaps. This will open up pores nicely and make the mask more effective. Once you prepare your turmeric mask and applied it, lie down and close your eyes. This is a time to relax and rejuvenate your skin and mind. To add to the relaxing experience, you can place a couple of chamomile tea bags (after use and cooled down), 2 cucumber slices or 2 cotton balls soaked in lavender or rose water on your eyes. Relax for at least 20 minutes, giving your face mask sufficient time to dry and stiffen. Now, you can rinse with warm water, making sure to gently remove all remnants of your mask. Finally, splash some cold water on your face and pat dry. The following are some face masks using turmeric that can be used for different types of skin. To make this basic turmeric mask, combine some honey, yogurt or milk with a few tablespoons of turmeric in a bowl. Mix this until it forms a smooth paste and applies on freshly washed skin. Leave this mask on for at least 20 minutes before washing off. Brides in India use a turmeric mask before the ceremony. This is sometimes part of the religious festivities in many Indian homes. For this beauty mask, combine 2 teaspoons sandalwood powder, 2 teaspoons turmeric powder, ½ cup chickpea flour with a little almond oil or ghee. To this add water and make a paste. Apply this mask and leave it until it dries and then washes off with water. Combine 1 teaspoon turmeric, 1 tablespoon milk powder with water. Apply for 10-15 min and then wash nicely. 2 tablespoons curd, ½ teaspoon turmeric, and ½ teaspoon sandalwood powder must be mixed to form a smooth paste. Benefits: In Ayurveda milk and curd are considered very good for the skin. Sandalwood is known to benefit skin in many ways – it softens the skin and provides a glow. Not only this sandalwood also helps in acne breakouts. But make sure you use pure sandalwood as there is no dearth of fake sandalwood in the market. 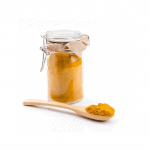 ¼ teaspoon turmeric powder to be combined with coconut oil to form a smooth paste. Benefits: Coconut oil is well known to provide benefits to the skin. It is an important constituent of several body creams and lotions too. Coconut oil is one of the best natural moisturizing agents. It also protects skin from harmful microbes. Using coconut oil also helps in the removal of acne and other scar spots on the skin. 2 tbsp unflavored, plain yogurt, ½ tsp turmeric powder, and 1 tbsp mustard oil can be mixed until there are no lumps. Benefits: This face mask contains mustard oil that is full of vitamins and minerals and has anti-fungal and anti-bacterial properties too. This turmeric mask is not meant for sensitive skin. Mustard oil is very commonly used as a massage oil in India for all these benefits. This mask contains 1 tbsp Multani Mitti (Fuller’s Earth), ¼ tsp turmeric powder and fresh water. Benefits: There is a long list of benefits Fuller’s earth provides to your skin. It is a great antiseptic and thus helps in killing harmful microbes over the skin. It enhances blood circulation which makes skin healthy and glowing. Applying fuller’s earth gives a very cool and relaxed feeling of great relief especially in hot climates. Combine 1tbsp each oatmeal and lentil powder with ½ tsp turmeric powder and water to form a paste. Benefits: Oatmeal is an excellent exfoliating agent. Oatmeal is also considered to be a great natural remedy for acne. Oatmeal also provides relief from sunburn, poison ivy, and other skin irritations. Oatmeal is a great natural moisturizer too. It is very simple to make – add clarified butter and pure turmeric and apply to skin (it can be applied to any part of the body). Let it dry, after 15 min scratch off the dry powder by hand and take a bath. This is one of the most common masks used in India. It is also part of Hindu tradition and is applied to the couple before the wedding so that their skin looks attractive (of course now we have beauty saloons for it). For this mask, use 2 tbsp gram flour, ¼ tsp turmeric, organic honey, and milk. A variant to this mask – add ¼ tsp sandalwood powder and ½ tsp almond oil in place of milk and honey. This turmeric mask combines a host of incredible ingredients. Using this will give you a rejuvenated and glowing face. 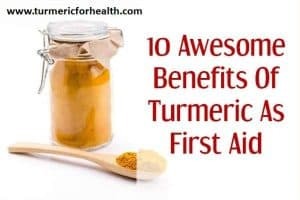 Take 1 tsp each of aloe vera gel, curd, rose water and glycerin, 2 tbsp carrot juice, 1 tbsp radish juice, 2 tsp organic honey, ¼ tsp turmeric powder, ½ tsp each lemon juice and almond oil and 2 strips saffron. Combine all these ingredients to form a smooth paste and apply. Mix pure turmeric with organic / pure almond oil and apply on affected areas of your face. 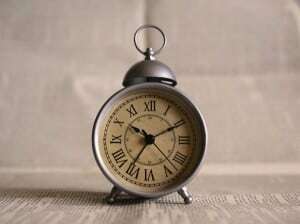 Keep for some time (10 min.) and then wash with water. Almond oil is known to be great for skin health. Almond oil along with anti-inflammatory turmeric will help tackle skin infections and also make skin look young and fresh. The above mask can also be made using organic honey. Just mix honey and turmeric and apply on your face. Wash after 10 min. Another way of making this simple paste is by adding sesame oil with turmeric. Sesame oil is a great antioxidant like turmeric and is easily absorbed by the skin. Another great thing about using sesame oil is that it is well known to treat dry skin conditions such as chronic dry skin, including psoriasis and eczema. So if you have dry skin, try this mask once and see the difference. Turmeric is well known to stain clothes. While the stains eventually fade away but they do stay for a long time before doing so. So what about your face then? I received a truckload of queries regarding this – what if I get a yellow face after turmeric mask? Imagine taking leave from office because you applied turmeric mask a day before! Just kidding, to end this I would like to tell you (with confidence and pleasure) that turmeric DOES NOT stain your face, there may be slight yellowish for some time though. But after multiple washes, it goes. This can also be easily overcome by wiping the affected areas using a few drops of a mild facial toner on a cotton ball. A lot depends upon the quality of turmeric used, low-quality turmeric which has synthetic colors may leave stains and can even harm skin. Turmeric has been used in India for ages as face masks, would it have survived this long if people got “yellow faces” after applying it!! So do not worry and do not be afraid to apply turmeric masks and be sure it will not leave its color on your face :). Always do a patch test before using. This is a must. In some cases turmeric may make your skin look slightly yellowish for some time, multiple time washing will remove that. 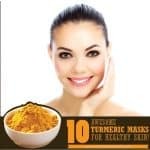 As an added precaution, people who are prone to different skin conditions should consult their dermatologist before using a home facial masks using turmeric. If you have used turmeric based masks before, do share your experience through comments and email! Can I leave the tumeric and honey mask on my face for more than 20 mins? and what is the max time i can leave it on? How long do you store in the refrigerator the turmeric paste??? Hi. The turmeric paste when refrigerated stays fresh for 1-2 weeks. But this depends on the climate of the area you reside in; if its a cool climate it should stay fresh for 4 weeks. I have rosacea, so my skin is prone to being sensitive and dry. I have some acne flare ups but not as bad in recent years. What is the best natural care recipe using tumeric for me to use to help soothe any redness and to moisturize my skin? Hi. From the masks listed above you can use the one recommended for acne skin or the one with fuller’s earth. Using turmeric powder with pure coconut oil or organic aloe vera gel can help reduce skin inflammation. Please conduct a patch test prior. 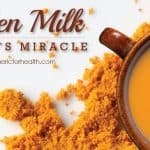 I mix turmeric milk and egg, it use to make my face glow and shine , but after sometimes i notice some red rash on my face. I have an acne prone face. I use it daily, how often should I apply it? Hi. 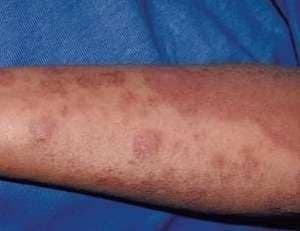 If you are experiencing rashes please discontinue using it. Also try and identify whether its turmeric or egg or milk that is causing the rash. Turmeric face mask can be used 1-2 times in a week. For daily application it is better to opt for turmeric based cream. I usually do the turmeric and honey mask but I tried the Gram flour and turmeric as a mask and then scrubbed and washed it. It was brilliant and my skin was looking 2 shades fairer. However, I have read that if I use turmeric and go out in sun, it might make me tanned. Is that true ? I want to know that after applying a turmeric mask, after how long can I go out in sun? For now I think I would be applying sun screen as a precaution. Hi. In tropical countries, a sunscreen is a must to counteract photo induced sun damage or skin aging. Please consult a dermatologist about it. Turmeric does not cause tanning; in fact it protects from photo induced skin damage. There is no such time gap that one has to maintain between applying turmeric mask and going out in the sun. However, you can apply the mask right before you sleep and let your face be free of chemicals or sun exposure for 8 hours or so. Tonight I made up a paste of tumeric, coconut oil and avocado. As it was my first time using tumeric on the face I was unsure how long to leave it on.. only left it for 5 minutes next time will be 10/15 however still achieved a nice soft skin result How often could this mask be applied? Hi Mel. Glad to hear about your results! Once a week should be fine. Hi. We would recommend preparing the mask right before application. Else you can mix all the ingredients except for lemon juice and store it in the refrigerator. Add lemon juice before application. It should last for a week. Hi. Is it for external application or diet purposes? Both ways it seems fine to use turmeric with this combination. For external application conduct a patch test prior. hi this is my third day to use tumeric on my acne face and today i noticed my face is peeling especially where i have acne marks and pimples ,so is that a good sign is that how it works .? Hi. Turmeric should reduce inflammation and size of pimples. Not exactly an exfoliant or peeling agent. But if you are experiencing adverse effects please discontinue use of turmeric. I recently started using apple cider vinegar as a toner, to help curb my acne. I’ve bought turmeric roots and I want to use it to make a face mask with honey and egg whites. Do you think this will work? And can I still use the apple cider vinegar toner after washing? Hi. Turmeric with honey and egg whites seems like an interesting combination for face masks but we don’t have any evidence to confirm whether it will work. Also there is no reason for it to cause any adverse effect as well, so if you do try it let us know how it goes. And yes you can use apple cider vinegar as a toner thereafter if needed. Can a moisturizer be used after washing off the turmeric mask? Or will this defeat the purpose of the results of turmeric? It is best to keep the skin free of any other topical application after using turmeric mask. If you have dry skin and a moisturizer is a must then you can go ahead with it but preferably use a natural moisturizer. I just made my 1st Turmeric Mask, with 1/2 tsp. turmeric, honey, & coconut milk. I left it on for 20 minutes. It did turn my skin yellow, so I had to wash my face again and there is still a touch of yellow in places, would regular milk have worked better? My concern is that it caused a burning feeling on my face in a few places, is this normal? I’m 48 years old and wanted to help my large pores and sun spots, but I don’t notice any difference in my pores. Hi. Please conduct a patch test prior to application and if you are experiencing any burning sensation please avoid application of turmeric. Check the brand of turmeric as well. 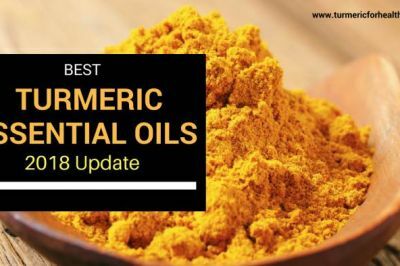 Turmeric does offer photoprotection but not much is known about its astringent action; however a couple of applications are required to see the results. But since you have experienced burning sensation it is advisable to avoid it. I just want to know can I mix some drops of lemon honey in traumatic nd adding yougart plus some orange juice. Mixing turmeric with yogurt is safe but we can’t comment about adding citrus juices like orange and lemon to it. I read an article in allure on an organic face mask. I am older and my pores are noticeable now. I have some brown spots. Anyways the face mask was simple so I decided to give it a try. It was just a mixture of greek yogurt and tumeric. I washed my face put on the mask and rinsed it off. Wow. I noticed a different right away. My face was smoother it seemed like my pores were smaller. glad I found this blog. I am a fan. Glad to hear that turmeric helped you! Thank you for your feedback. Yes it is the same turmeric that is used for cooking that can be used in face masks. 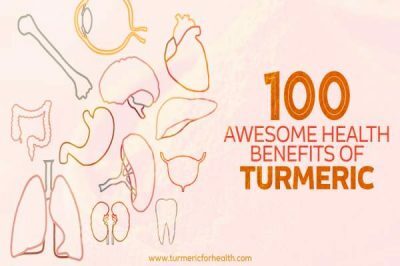 is turmeric good to use it daily? Turmeric is great for daily use in cooking. There is no reason why it should unsafe for daily application to the face but we recommend no more than 2-3 times a week. Hi ~ it’s my first time to use turmeric as a facial mask but i used turmeric tea powder + water to make a paste and i put the mixture in a freezer for about 2 mins to make it cool. I just finised applying tonight. I washed it with warm water (yellow color washed out). My face feel smooth… Is it ok for me to use turmeric tea as a facial mask? Content: turmeric power, lemon grass and brow Sugar. As long as you didnt face any side effects and allergic reactions, it is safe to use turmeric tea powder. However we still recommend using organic turmeric powder as the tea powder might have additives/preservatives. Where can you get fullers earth or multani mitti andSandlewood powder??? I use Proactiv. After I do the mask can I finish my proactiv regime with the toner and lotion? 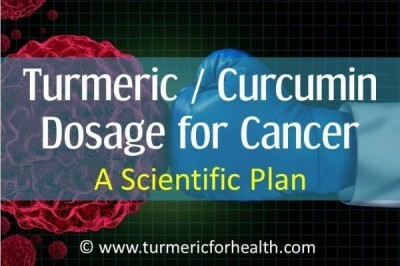 How can tumeric be use for the treatment of prostate cancer and what dosage do you recommend for treatment.? 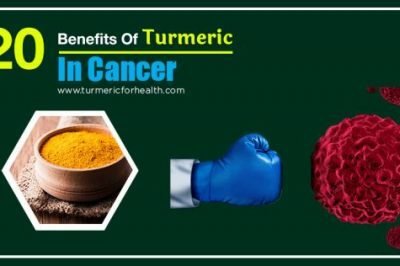 Also it is advisable to start with curcumin supplements for conditions like cancer high concentrations of curcumin are required. Please discuss this with your doctor prior to taking supplements. Its best to avoid applying any chemicals to your face after finishing with the turmeric mask. If you must use a toner in case of dry skin rose water may help. First time do this mask. I used yogurt, turmeric ,gram flour and a splash of lemon juice. I have fine lines around my eyes, dark spot and my skin is prone to acne.I will keep you update. Can I use plain flour instead of sandalwood powder n olive oil instead of almond oil or ghee? Also will this be good for acne scarring as this what I have. Sandalwood powder benefits the skin. Plain flour would not be of much use..try fullers earth or multani mitti. Or even gram flour or besan. Olive oil is an excellent option. It should help in lightening the scars though we cant gauge the extent to which turmeric could remedy them. Aloe vera gel mixed with turmeric powder and curd could also help. Do a patch test prior. Can we leave the turmeric mask on the face overnight? 20-30 minutes is fine. After that the mask will dry up so it is good to wash it off then. Leaving it overnight would be of no use since the mask would dry up and crumble and may stain clothes. Hence it should help in melasma. Hope it does. Do share your experience with us. Can we store the turmeric paste in refrigerator. If yes, how long? Yes you can store Golden Paste in the refrigerator for a week. Can these pastes/masks be used on other parts of the body? I am having terrible eczema flares and nothing is helping the itching. I have all of the ingredients and want to try this on my legs. I’m not really sure about these masks, but my son has been having some really terrible eczema break outs this year for some reason and we’ve been doing greek yogurt and manuka honey masks for his. I put it where the break outs are face, neck and arms. This has REALLY helped him, he’s seventeen and at first he looked at me like I’d lost my marbles for even suggesting it and now he’s reminding me that he needs his masks. LOL!! Don’t know if this will help you or if you’ve tried any of these masks, but if you have I’d like to know how they worked for you. I don’t like doing steroid cremes on my son’s skin because it’s not good for you and I prefer anything natural to medications that take care of 1 thing and cause 100 others. Yes these masks can be applied anywhere on the skin locally. However please do a patch test before applying. 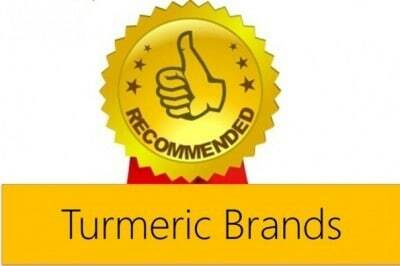 Thank you for your feedback and its great to hear that turmeric benefits you. I want to know that..
After applying turmeric can.we use soap ? no u cant, beacause, the benefit u got by applying turmeric will lose if doing so. soap made with chemical which can even ruin your genuine skin moisturizer. Its best to rinse off with water only. Avoid exposing skin to any chemicals immediately after washing turmeric pack. 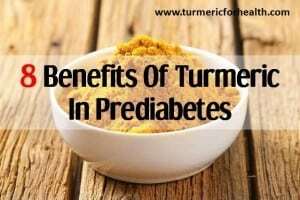 Turmeric in diet is absolutely safe. 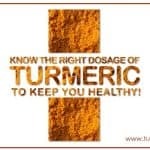 However turmeric supplements are not advised if suffering from bleeding problem. 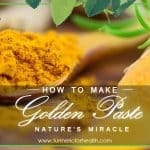 ,I HAVE A GOOD FRIEND IN INDIA,I WAS ASKING HIM SOME OF THE BENEFITS OF TURMERIC ,HE EXPLAINED TO ME WHEN A PASTE IS PUT ON YOUNG GIRLS THAT NO HAIR WILL GROW ON THEIR LEGS, UNDERARMS,,THEREFORE NO WAXING IS NEEDED EVER, IT IS ALSO USED AS A PASTE FOR CRACKED HEELS,ALSO FOR OPEN WOUNDS AND YES AS A MASK FOR THE FACE ,SO MANY USES.I CAN’T REMEMBER ALL THE USES ,BUT IT WAS A GREAT NUMBER. I JUST WONDERED IF ANYONE HAD USED IT FOR CRACKED HEELS?AND IF SO WHAT WERE THE RESULTS? use turmeric with almond oil for cracked heel…. What mix with tumeric powder did they use for the no hair solution? Hi, Can turmeric be mixed with oats, yogurt, Honey and lime , made into a mixture for a facial mashk? Yes that would work as an excellent scrub. Turmeric has skin lightening properties so you can definitely try it for melasma. Do a patch test prior. I mix bentonite clay, turmeric, cinnamon, raw honey, a few drops of tea tree oil, a few drops of neem oil and raw apple cider vinegar. I apply a thick paste after i steam my face with sea salt. Amazing! how about for those high blood pressure, can they make a tea out of turmeric? Yes , look on YouTube. hi, is it true that turmeric can remove brown spots on my face? Hi, turmeric is known to help in maintaining skin health. You should for sure try it. It helping in brown spots is still not complete proven. Well there isnt any scientific evidence to prove this but turmeric benefits skin and may help. Conduct a patch test prior. Turmeric with olive or coconut oil as a paste may help with hyperpigmentation or darkening/discoloration of skin but cant promise improvement in skin tone. Conduct a patch test prior. Hi! Is this turmeric mask good for sensitive skin? Will my skin get irritated? hi, does turmeric and olive oil suit for sensitive skin..? Conduct a patch test prior. It shouldn’t irritate the skin. 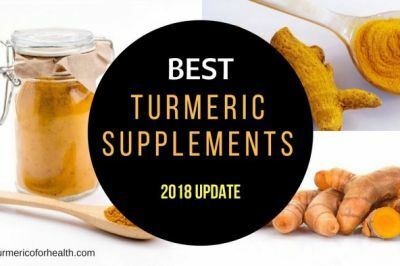 I have Rosacea on my face , Can I use turmeric for it. Yes you can consume turmeric and apply it topically mixed with a coconut/olive oil. Conduct a patch test prior. Hi, people who have used it say that but it is not scientifically proven. But it can indeed help in several more ways to make skin healthy. No downside to use it. 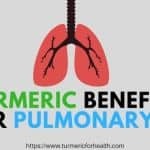 I have been told that turmeric is bad for people with heart conditions or those who are susceptible to heart problems. Is this true? Hi Safia, you are welcome! I want to try turmeric masks but some people have told me that it will make the face yellow for a few days! is that correct ? Hi, yes it does yellow face for sometime as its the property of turmeric. But if the turmeric is of good quality it can be removed with a few washes. It is best to have a patch test before starting. I’ve been rear ended twice since 2013, been in a lot of pain! My neck and my full back! Dr just keeps giving me T3’s and anti inflam pills, I started using powder turmeric in my morning smoothie and within 2 days my body started feeling different! I can’t explain it! I wouldn’t wake up in pain,but the pain would come after being at work for 20 min. I then decided to try using it topical. I mixed the power with olive oil or avacado oil, whatever I had laying around, I slathered it on both sides of my neck. Within 5 minutes the shooting pain in my neck was gone!! The first night I kept it on for about 2 hrs! The next day at wrk I felt better…people saw the difference they could see I wasn’t in as much pain as I had been for 2 years! That night I went home and applied it on my full back and neck and I kept it on the whole night, took it off in the morning. It’s worked wonders for me! It’s stained everything in my house yellow though, caroets , bed sheets, the walls and yes even my neck and hands! But I don’t care its worth not being in so much pain! I still hurt but it’s better then what is was! Hi, this is awesome! 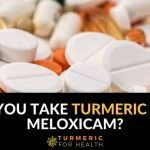 Turmeric does help but your cases seem to be wonderful in terms of how effective it was! Thanks for writing and haring your experience. Woww..it was a good exp for reading this.. Does turmeric also work for people with dark skin? Absolutely! Most Indians have brown to dark skin. 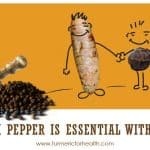 Also remember we are talking more on the lines of skin health using turmeric and thus it is applicable to all types. Is it harmful for skin using face wash after applying turmeric face mask? 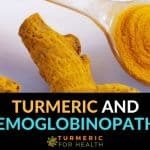 My cousin told me that using soap or face wash after applying turmeric will darken my face.Is it true? Hi, I am not sure of this but anyways you should give time to turmeric face mask to sink in and take action. If your skin feels irritated or you want to reduce yellowness – you can add almond oil/ olive oil (1 tsp) and gram flour respectively. Face wash after 6-8 hrs is fine. But immediate use of face wash is pointless since the masks have cleansing/ moisturising and scrubbing benefits. Hi . Yes it s true indeed . You shouldn’t wash ur face immediately after d turmeric mask or go out in d sun . So it s preferably best if u use it b4 bed at night n live it for 1/2 an hr n wash it wd plain water . Pat dry n apply sm natural greasy moisture or night cream . Nxt morning whn tkn bth u can wash it with a gud daily scrub face wash n u ll love ur face . Awesome! and thanks for sharing your experience. You just have also noticed, it is fraction of the cost of costly cosmetics and other treatments! Just make sure to use good quality turmeric powder. Best is you buy Raw turmeric and then use it to make the powder. Shireen, unlike honey there are not many types of turmeric ! ( fortunately). Go for a pure one (as lots of artificial ones are present). As far as honey is concerned organic manuka honey is a great choice. Hope this helps! Sorry Shireen, what do you mean by which turmeric? Believe me, my skin was supple and stArted to get flawless after 5 days of use. What was the measurements of turmeric, raw honey,cinnamon powder,nutmeg powder did you use for your mask. Thanks. how often should it be used? every other day? or once a week? thank you .. glad you liked it. wow, so many turmeric masks. I never knew turmeric can be used in so many ways Thank you very much. You should be persistent and consistent in using rosacea skincare products! I have been using turmeric for my skin issues for last 10 years. Must say it works better than any other medicine I had taken or applied. One just had to be regular, the benefits take some time to show up. But they do..